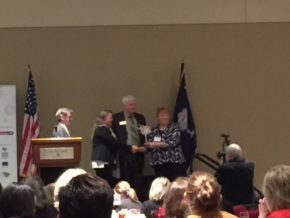 The SC Chamber of Commerce’s Workforce Innovator Awards honor companies that have implemented unique private sector workforce development solutions. Three awards are granted based upon business size: small (fewer than 200 SC employees), medium (200 to 999 SC employees), and large (1000+ SC employees). 3. Concept Sharing (25%) – Readily sharing the training success with other companies. For many years, the PPG Chester Plant has been a role model for Kl2 and higher education support not only in Chester County but throughout the region. Driven by the direct involvement of their senior management, the plant has provided financial support for countless robotics and Science, Technology, Engineering, and Math (STEM) projects in middle and high schools. They have also invested in local Junior Achievement entrepreneurship programs, in the purchase of new equipment for local career centers. and in the Summer Externships for Educators program that provides high school teachers the chance to work in industry during summer break. The plant has not only supported the community f inancially but through many employee volunteer activities. They have arranged opportunities for both teachers and students to tour the facility, encouraged employees to volunteer their time in local schools, and helped develop employee mentoring partnerships with young people.